green, open space feels more like countryside than formal parkland. Its hills, wooded areas and ponds provide a natural playground for locals and visitors of all ages. 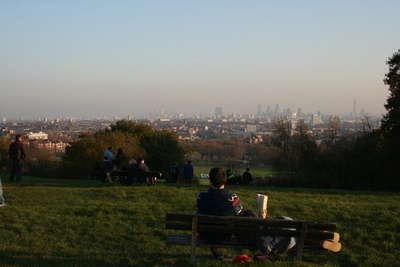 Parliament Hill is the place to fly kites on a windy day and take in the view over London. It is also the location of many an iconic movie moment, when the protagonists sit on one of the benches overlooking the city. If you fancy trying open water swimming, Hampstead Heath has ladies, gents and mixed bathing ponds, open daily all year round, for a mere £2, which you pay at a ticket machine on entry. It can get chilly, however, and it is not uncommon to see people swimming in wet suits during the winter months. 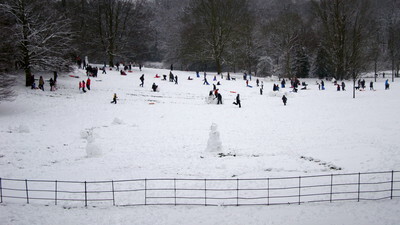 For children, there are swing parks and a paddling pool in the warmer months, and sledging in the winter - if there is enough snow - as well as acres of grass to run around on, wooded areas to explore and ponds where you can feed the ducks. 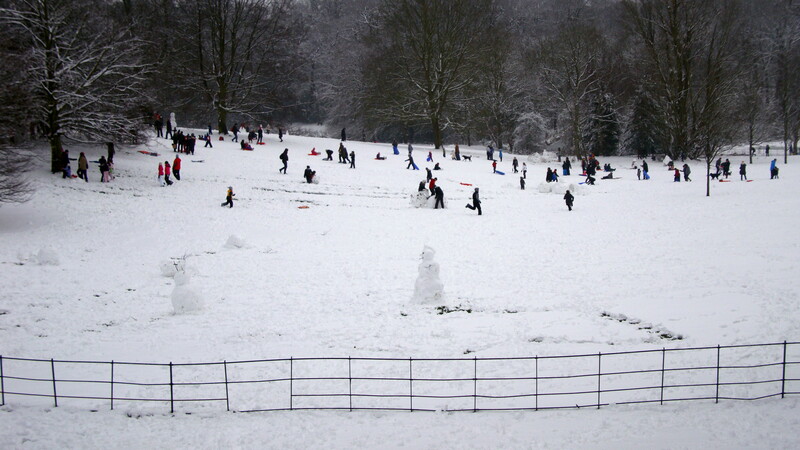 Dog-owners are a regular sight on the Heath, as are celebrities, if you're lucky enough to spot them. In the three years I have been visiting the Heath I have seen Alastair Campbell, former Prime Minister Tony Blair's communications chief, the new labour leader Ed Miliband en famille, impressionist John Culshaw, and former 'Goody', broadcaster and birdwatcher Bill Oddie. Cyclists are restricted to two or three designated paths across the Heath, while runners and walkers have free rein and there are plenty of challenging climbs to conquer. Listen out for the distinctive call of a non-native species of bird, the parakeet, whose distinctive bright green colour can often be seen flashing between the trees. Hampstead Heath is home to a flock of these attractive birds which, it is believed, escaped many decades ago from a private home or sanctuary. has a wealth of eateries, and on a sunny day, picnics are the order of the day. There is a programme of events throughout the year, which includes athletics meetings, music performances at the bandstand, funfairs, mini festivals and lots more. There is also a farmers' market most Saturday mornings at William Ellis School just on the eastern edge of the Heath. Hampstead Heath can be reached by overground – Hampstead Heath and Gospel Oak are the closest stops – or by underground – get off at Hampstead and go down Flask Walk until your reach the Heath.